Disclosure: I received a box of Balance Bar mini energy bars, coupons and an Itzy Ritzy reusable snack bag to facilitate this review. All opinions are 100% my own. Back to School means stocking up on snacks that the kids will love but will also help keep them full and energized – that goes for Moms and Dads too! I cannot tell you how much I am loving the new Balance Bar mini energy bars. At just 100 calories each, these mini energy bars pack 7 grams of protein and 23 vitamins and minerals. And with flavors like Double Chocolate Brownie and Cookie Dough, they are as sinfully delicious as they are good for you. The cookie dough are my favorite and I love that they keep me satisfied when I am craving a “sweet treat”. I received a package containing both flavors mentioned above and I had a blast trying them out with my kids. They are small and easy to toss in my purse for on the go (just be sure to keep them out of the heat so they do not melt). I love that they are portioned controlled and perfect for keeping the diet in check. They are soft and have a slightly chewy yet creamy texture. The chocolate is rich and delicious without being overly sweet. My kids told me they reminded them of a small candy bar and both kids enjoyed the taste. I love everything chocolate so these easily got two thumbs up from me! 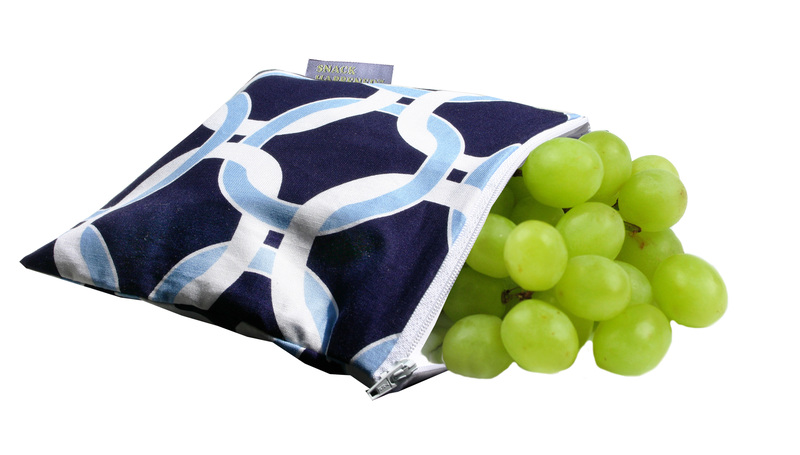 Along with the package of Balance Bar minis, I received some coupons and a super cool Itzy Ritzy Reusable Snack and Everything Bag, which is perfect for toting snacks, fruits, baby items, travel items and more! I am always encouraging ecofriendly choices whenever possible so I am proud to send my kids’ snacks to school in reusable bags – and I love using them myself as well. I love that these pouches come in such adorable patterns and my kids really enjoy using them because of their fun 100% cotton exterior designs. They are 7 inches x 7 inches in size and have an easy zipper closure making them simple for kids to open and close. Inside you will find a full waterproof lining. They are FDA-approved, BPA-free, PVC-free and phthalate-free. Machine washable for easy clean up, these will be sure to make Moms and Dads happy too. Do a run through. Are your kids starting a new school or a new routine? Do a run through. Wake up “school time,” brush teeth, get dressed, pack lunch, have a school-appropriate breakfast and maybe even drive or walk to school. Then, take those packed lunches and head to the park for a final summer break picnic. Plan the menus. Give your kids several options in each category and let them weigh in on what they’d like to find in their lunchboxes… you won’t have to guess each morning and they are far more likely to eat it if they’ve had a hand in selecting it. We love Balance Bar® minis to pack along for snacks! Start a good sleep routine early. Kids love to stay up late in the summer time (and who can blame them) but it makes for tougher mornings if kids are used to going to bed later and sleeping in past “school time” wake up. Set goals with your children for the upcoming school year. Whether it’s academics, sports, or extracurricular activities it’s great to help kids get motivated for success in the new school year. Are you on Twitter? Interested in hearing more tips on how to balance your schedule come this Fall? 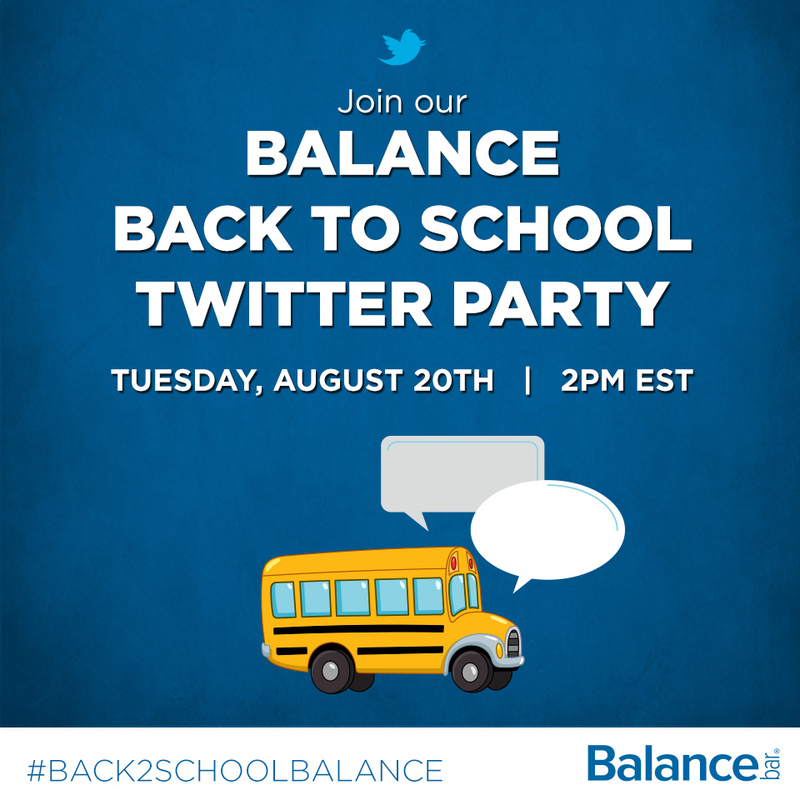 Join Balance Bar® Tuesday, August 20 at 2:00 PM EST/11:00 AM PST for a live, one-hour Twitter chat. Don’t forget to keep up on all things Balance Bar by following on Facebook and Twitter! Would you like to give Balance Bar mini energy bars a try yourself? One lucky Delco Deal Diva reader is going to win a Pack of Balance Bar mini energy bars and an Itzy Ritzy Reusable Snack and Everything Bag! Simply enter via the easy Rafflecopter form below. Winner will be selected on September 3, 2013. Good Luck! The Balance Bars sound yummy! My kids enjoy snacks of Goldfish, fruit and yogurt. After school, my oldest loves to she’ll peanuts for a snack! We do a lot of fruit… also Goldfish! Fruit Snacks, grapes. bananas, and granola bars are a few of my son’s favorite snacks! Cheese and crackers are always good.